Columns & Railing Archives - Home Building Products, Inc. 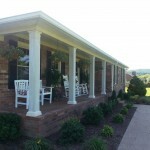 Columns add a sense of sophistication to your project, and can transform an ordinary porch into something quite grand. Ever wonder about the origin of columns in building? Here’s a snippet from Melton Classics. The classic column designs of Melton Classics are based on the timeless Orders of Architecture laid down in the 1500’s by the Italian Renaissance architect Giacomo Barozzi da Vignola. Vignola codified the rules of classical column architecture from Greek and Roman architecture on which the design and proportions of the Orders of Architecture are based. Classical columns are based on temples from ancient Greece and Rome and are constructed with specific diameter to height ratios based on the Column Order, or design. 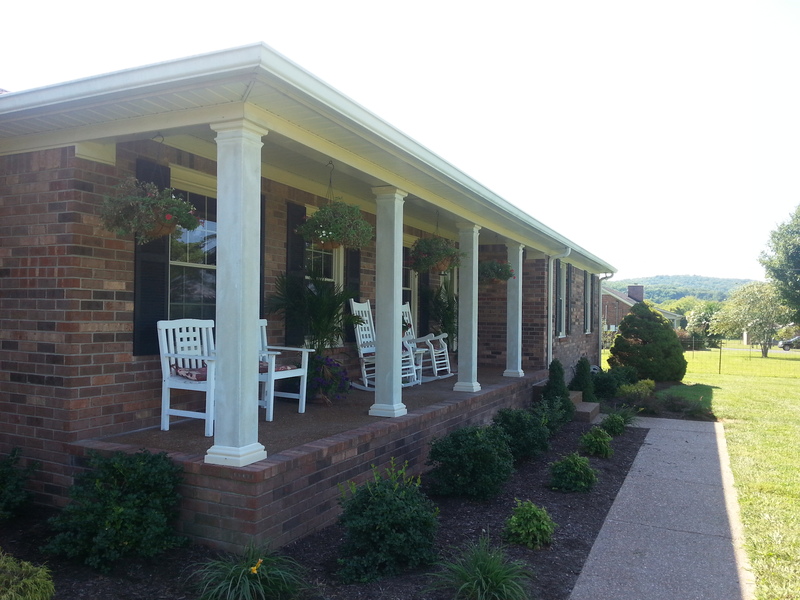 Columns are excellent in adding beauty, architectural details and performance into a home. Oftentimes, columns are utilized for structural purposes – these are load bearing columns. However, homeowners may install columns to add architectural beauty. It could define spaces between rooms, becoming room dividers. Many a new home has some classical columns between the formal dining room and formal living room. Add interesting aspects: When you add a column to the outside of your home, you might be adding curb appeal. Imagine a plain traditional home, and by adding a pair of columns you can make it look stately. Room divider: Although decorative columns might not be as functional as the actual ones as far as load bearing properties are concerned, they continue to be functional when used as a room divider to define the rooms. So, if two rooms share a space with no walls or door between them, the pair of columns may give that sense of separation and distinction. They have also been used in master baths adorning the whirlpool tub or in the kitchen framing the bar-peninsula. Framing art pieces: Here’s a neat trick using split columns (those that may be purchased in 2 pieces cut lengthwise). Each half is used to frame an enormous wall mural painting. Wrap ugly load bearing pillars: If you’ve owned or visited a house with an unfinished basement and there are load bearing elements, the hollowed columns split in 2 can be utilized to wrap these unattractive columns or foundations so as to add sophistication in the room. This can help in converting the unfinished basement into another functional living space. Fireplace mantle: You can cut a column that comes in 1 whole piece into 2 pieces (or just buy a 2-piece unit) to border a plain fireplace to design a distinctive mantle. What is so nice about decorative columns is that the possibilities are endless. You can even paint the columns to mimic the style of marble. Done right, you couldn’t tell these columns weren’t real marble. We’ll be glad to assist you in choosing and installing the columns of your dreams.